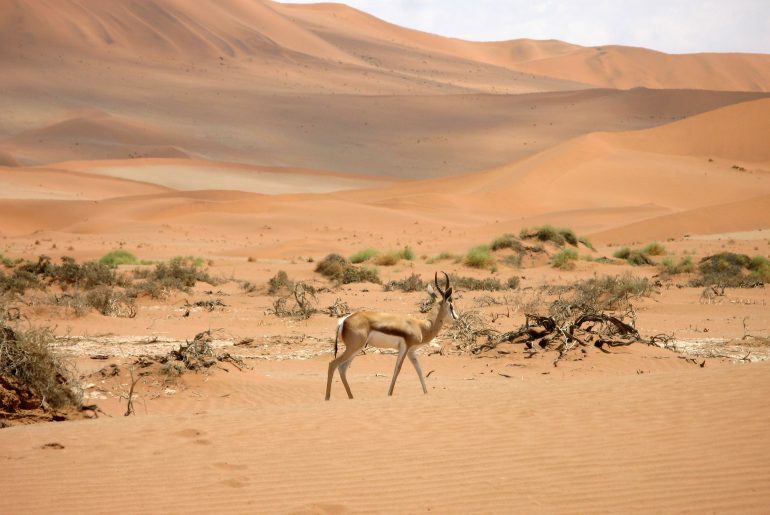 Namibia is one of Africa’s newest countries and a destination that boasts vast desert landscape, amazing wildlife and charming colonial villages. 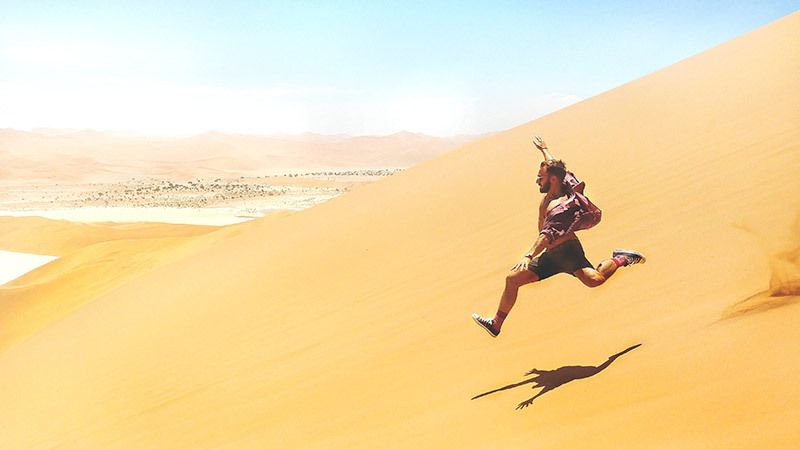 From the wild Skeleton Coast to the colossal sand dunes of the oldest desert in the world, Namibia is an adventurer lover’s paradise. 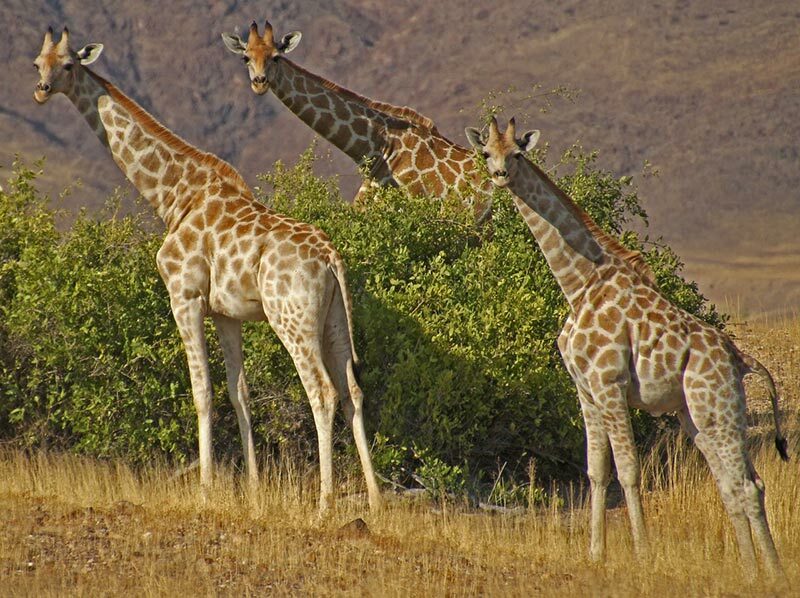 Read on to find out the top 6 things to see and do in Namibia and what makes this wild and untamed country so magical. If you want to play in the world’s biggest sandbox, then take a ride 50 miles east of Walvis Bay to the Namib-Naukluft National Park. You will soon see why the sand is such a rich deep red colour when the sun rises over Dune 45. It’s aptly named because it’s 45 km from the Sesriem gate, one of the entrances to the park. 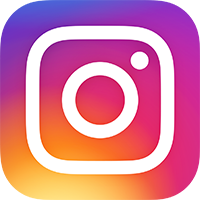 Here you can hire a guide to take you out for some wild off-roading on the dunes using a quad, or you can try your hand at sandboarding down a 1000-foot-tall sand dune. If you stay at the luxurious &Beyond Sossusvlei Desert Lodge, you can watch the sunset over Dune 45 which will take your breath away. A road trip along the Skeleton Coast of Namibia is an off-road adventure you will never forget. 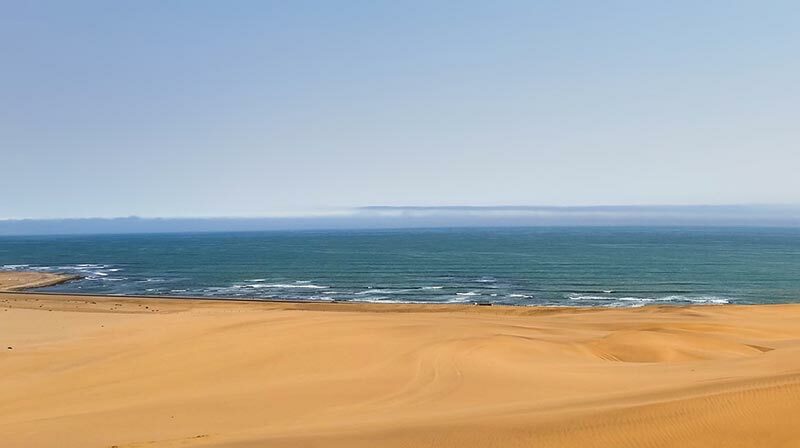 Along the coast, you will come across a unique blend of colonial German towns such as Swakopmund, great expanses of uninhabited coastline, an abundant supply of wildlife and of course – the Namib Desert. 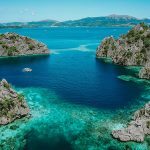 This vast stretch of coast got its name from the countless shipwrecks scattered along the shoreline. Namibia was built for a true African road trip with incredibly long, flat stretch of hard-pan that runs along the most surreal coastal wilderness in the world. Where else can you drive the desert coast in the company of elephants? But you can only make this trek in a fully equipped 4×4. Make sure you have prepared yourself and your vehicle for any situation as help can be hours away. 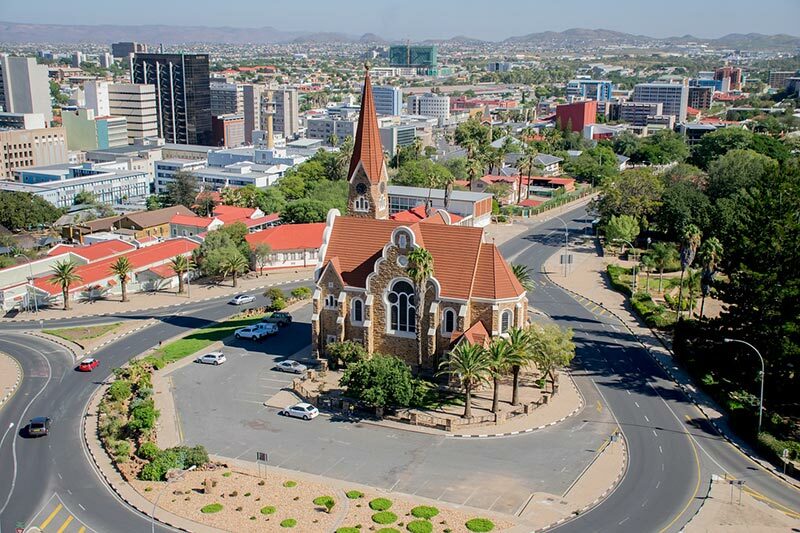 When you visit Windhoek, you will be blown away by the diverse influences that make this city a must-visit spot. This quaint and quirky city is tucked away in a small corner of Southern Africa where you will find a mix of Herero, German, Afrikaans, and British cultures. Windhoek is clean, relatively safe and getting around by taxi or bus is easy. It’s famous for its beer – Windhoek Lager. This is one of the only beers brewed outside of Germany that still brews its beers following the famed German purity law of 1516 called “reinheitsgebot.” As you walk down the tree-lined Independence Avenue, you may feel like you are in a provincial German town, complete with colonial architecture. Check out Joe’s Beer House and chow down on a zebra burger while enjoying a Windhoek Lager. Tucked away in Northern Namibia, Etosha National Park is the country’s premier destination to see a wide variety of wildlife. Don’t worry, you don’t have to spend hours in a 4×4 looking for some of Africa’s “Big Five.” Just head to one of the many watering holes and just wait and watch the wildlife. You’ll see animals such as lion, springbok, giraffes and elephants in droves. During the rainy season, the salt-pans are transformed into shallow lagoons jam-packed with flamingos and pelicans. To get the best views of the park while getting pampered at a luxury safari camp, book a stay at the Dolomite Camp. If you are interested in traditional African culture, a trip to a Himba village in the remote Kunene region of northern Namibia is a must. 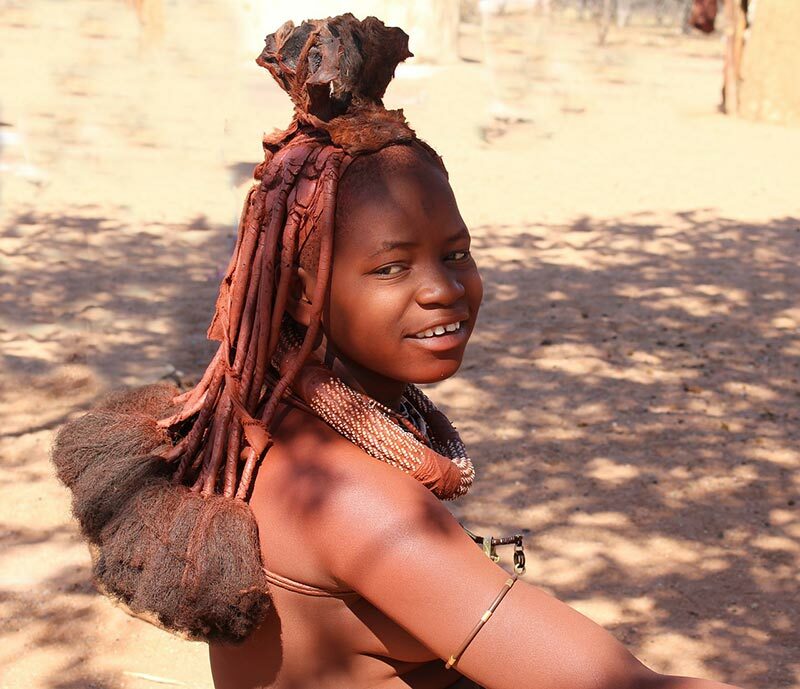 The Himba (also called OvaHimba) still live very much as their families have done for countless generations. They are pastoral nomads whose livelihood is based on cattle herding, hunting and gathering. Villages are simple thatched-roof huts made of branches, mud and cow dung. The men, women and children wear very distinctive dress and jewellery and rub a dark red paste called otjize into their skin to protect them from the sun. Tours are led by a local guide who will also be your interpreter. This allows you to visit the villagers and learn about their lives, beliefs and customs. Check with a local tourist office to schedule a visit because availability is always changing. 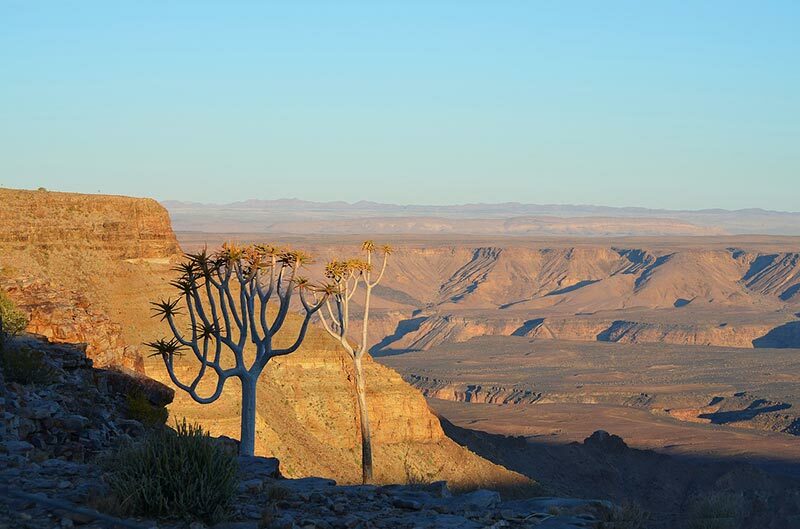 Believe it or not, the Fish River Canyon is the world’s second largest canyon after the Grand Canyon and is rated as one of the most scenic, but toughest hikes in Africa. You will need to plan ahead by making reservations (you can only hike from May to September because of the heat). You will also need medical proof that you are in good physical shape and getting a guide to get you to the trailhead – but it will be more than worth it! The Fish River trek is just over 50 miles long and will take you 4 to 5 days to complete. Along the way, you will witness towering rock faces, deep ravines and a rich assortment of bird and animal life. There are even Sulphur springs hot pools along the way to relax from your long day of hiking. Jim is a travel writer and retired lecturer of African Studies. 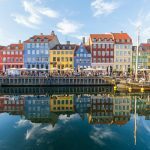 He is a self-described life-long trekker and his career as a U.S. Air Force officer gave him the chance to experience amazing and exotic destinations in Europe, Asia and Africa. He is at home with a good Wilbur Smith book or anywhere there is a story to tell. 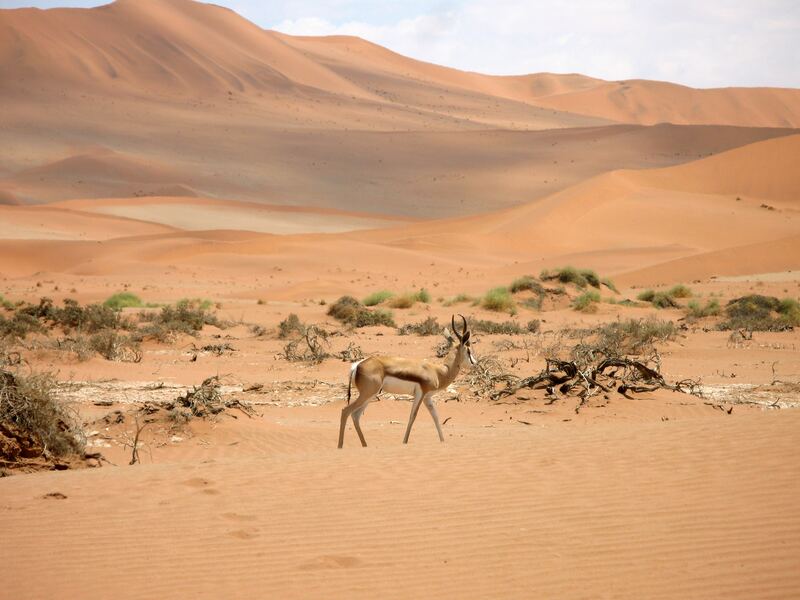 Hey Buddy!, I found this information for you: "6 Top Things to See and Do in Namibia". Here is the website link: https://www.travelanddestinations.com/top-things-to-see-and-do-in-namibia/. Thank you.